Tom Cruise to make Star Wars cameo? 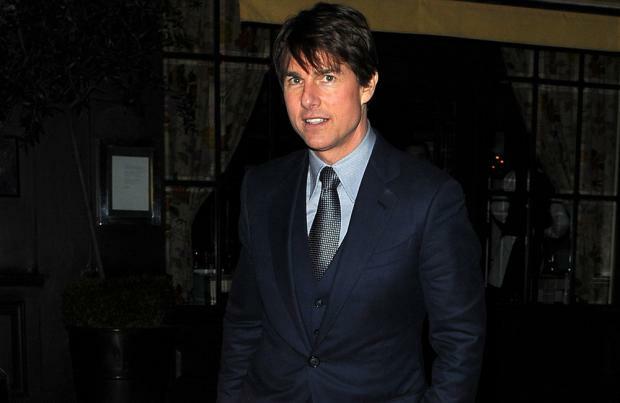 Tom Cruise could make a cameo in 'Star Wars: Episode VII'. The 51-year-old star is close friends with the film's director J.J. Abrams - who helmed 'Mission: Impossible III' - and the pair reportedly met over the weekend to discuss a role for the A-lister. A source told The Sun newspaper: "Tom has been in London for over a week and met up with J.J. and some other people from 'Star Wars' at the weekend. "On Saturday evening five of them met up for dinner and drinks at the Belgravia Hotel. J.J. loves working with Tom whenever he gets the chance." The sci-fi production could use some star power after leading actor Harrison Ford, who reprises his role as Han Solo from the original trilogy, was rushed into surgery last week following a freak accident on set. The 71-year-old actor is recuperating after breaking his leg and won't be available to film for several months. The source added: "Losing Harrison is going to set things back a little scheduling wise and there's some time to play around with." Cruise recently starred in a sci-fi summer blockbuster 'Edge of Tomorrow', which earned critical acclaim, and is next set to film the fifth instalment of the 'Mission: Impossible' franchise. 'Star Wars' is currently filming at Pinewood Studios in Buckinghamshire, England. It's rumoured 'Looper' director Rian Johnson could be in line to write and direct the follow-ups, 'Episode VIII' and 'Episode IX'.